Flora 717 is a sanitation worker, the lowest of the low in the hive. Flora surprises the priestesses when she can speak and produce Flow, so they give her a job in the nursery. Accept, obey, serve is the slogan of the hive and they all work hard so the Queen will rule and give birth to their beloved sisters or brothers. The Queen is the only one who is allowed to produce offspring and those who disobey or mate are instantly killed by the Fertility Police. Flora is very devoted to the Queen and does her best to follow the strict rules of the hive, but then she produces an egg. The book is promoted as a mix between A Handmaid’s Tale and the Hunger Games. The latter part worried me, but thankfully there’s only the same desire of survival. But there’s the same feminist message in the Bees as in A Handmaid’s Tale. I really enjoyed those parts where they hailed to the Holy Mother and danced around with penises in their mouths. It started as a slow read for me, especially because I felt like the chapters were written poorly, but fortunately the writing got better the further I got, and I ended up really enjoying it. 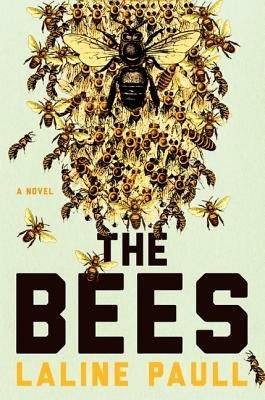 I was definitely fascinated by the story and the lives of bees. Another part I really liked was the dancing routines, which is supposedly something bees do. I’m hoping this will be translated into Norwegian because I think this will be the perfect book for my sister. And if you want to save the bees and have a garden, here’s a list of plants they like.